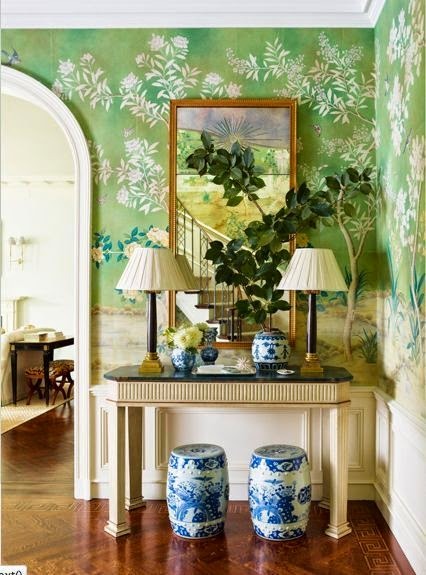 Over the last couple of months I've collected quite a few images of chinoiserie wall paper. 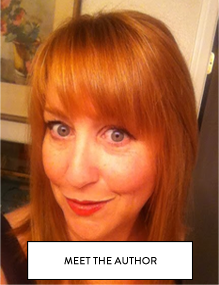 I find it inspiring, and often refer to my pinterest board for ideas. I'd like to share a few of my favorites for various reasons, mostly because they make me happy when I see them. I'm considering wall paper for my powder bath room. So let's take a look and see if any of these can inspire you too. I don't think it can get any better than this. with nature would work well. It's a small bath room and going dark might be just the solution. Here's a bathroom that's perfect! 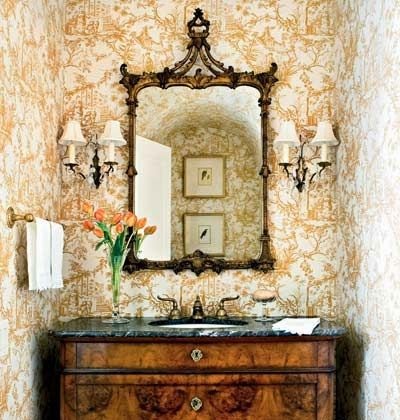 Loving the mirror and sconces. This is an excellent example of what will not work with my flooring. The flooring is staying, so I have no choice but to work with it. Any thoughts? I'd love to hear what you have to say. 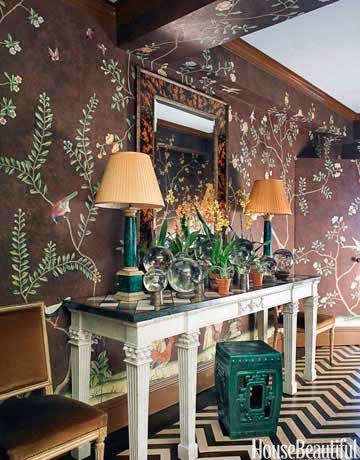 Sharon the green Chinoiserie paper is calling my name, just ADORE it!! You know I LOVE that hand-painted Chinese paper!!! It speaks to me too! I just can't get enough of it. I'm in. 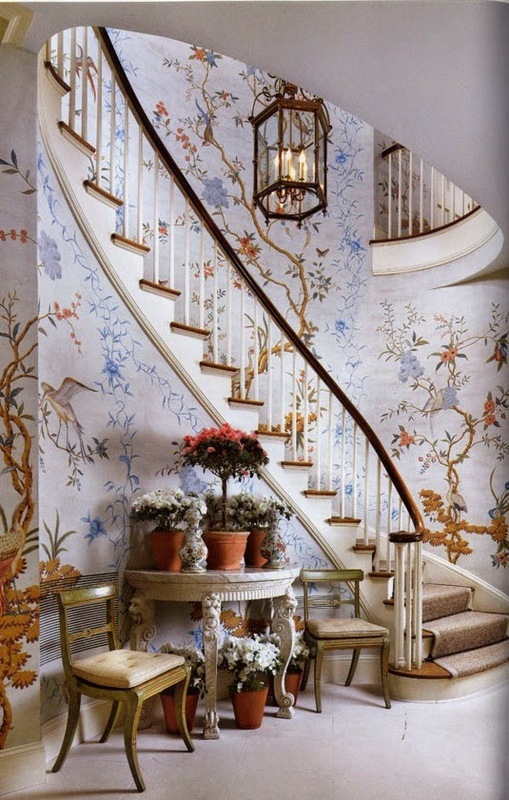 Must have some chinoiserie paper somewhere - and soon! !